Vapor Guard hose must be used with Vapor Guard hose ends and clamps (other hose barb style fittings or hose ends may damage the inner liner on the hose) Vapor Guard is not Recommended for Vacuum applications. Modern fuels are at war with your fuel system. Modern fuels (more than 40 EPA-approved fuel blends in the US alone) include additives that break down traditional rubber hose. This breakdown leads to potentially dangerous leaks & weeping as well as vapors that waste fuel and leave unwanted odors in your shop. Once fuel lines are degraded, hose particles can contaminate and obstruct fuel injectors and carburetor passages. 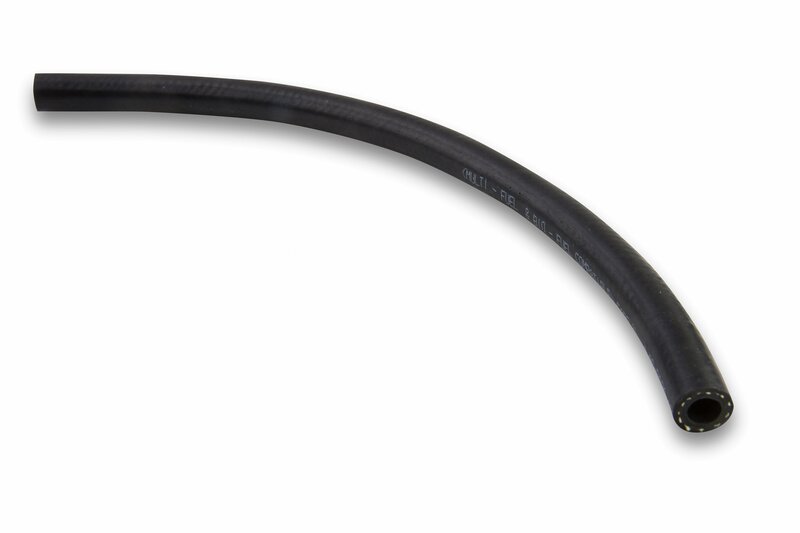 Earl's Vapor Guard hose and hose ends provide a complete, economical solution that virtually eliminates these fuel permeation issues common with most rubber fuel lines. The secret to Earl's Vapor Guard hose is in its layers. The innermost Primary Barrier Layer offers high resistance to heat and aggressive fuels. The middle Earl's Vapor Guard™ Barrier is a Thermoplastic layer that provides superior fuel isolation and virtually eliminates vapors from escaping through the hose. 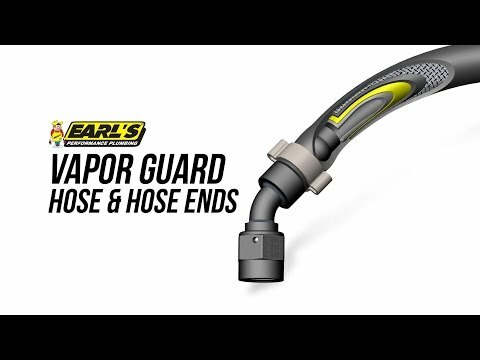 The Exterior Cover Barrier provides extreme tolerance to heat and ozone giving Earl's Vapor Guard a three way shield against hose deterioration.